Our friend and V2 productmanager Arnoud van der Toorn has left the building. 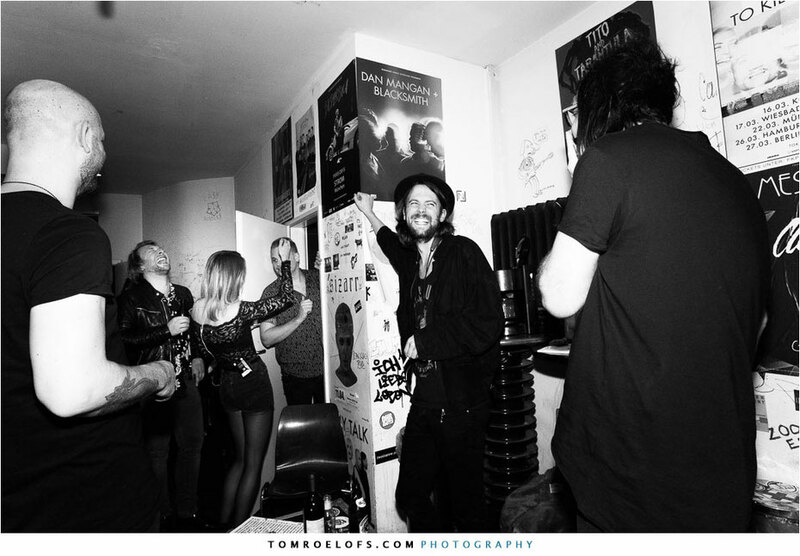 He was a big support for many Dutch bands who remain filled with good memories of the guy with the grin backstage. 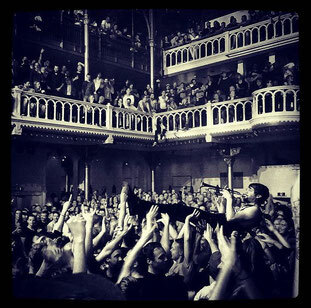 On june 7th the Sounds Of Change organized an inspiring and heartwarming concert at the Paradiso in Amsterdam. 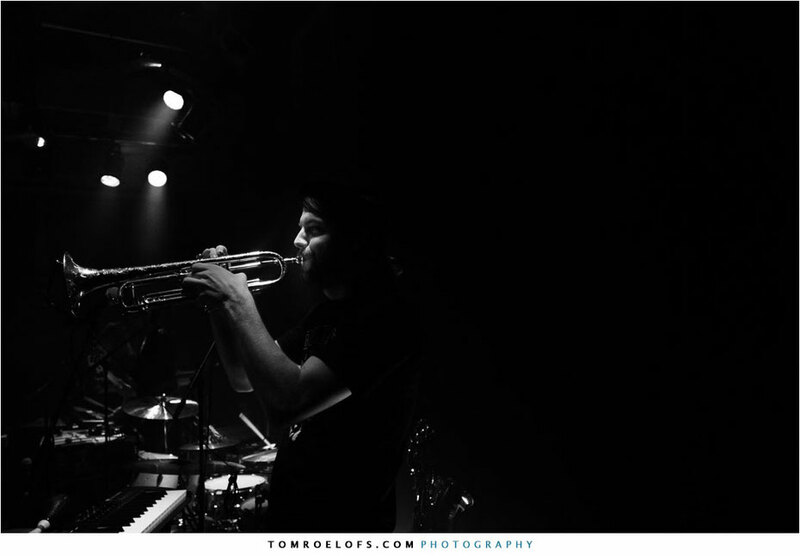 My trumpet student Hadi Zaghtiti took to the stage to play the song Promises of No Man's Land with Blaudzun, accompanied by band and full choir. Blaudzun's album-release concert in Tivoli Vredenburg...! 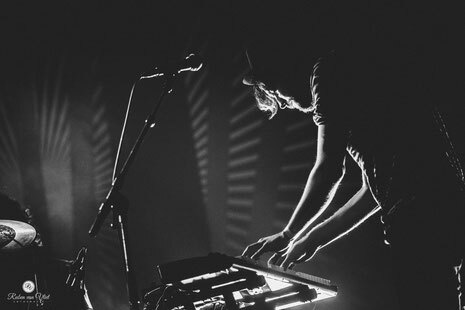 Blaudzun will be playing 10 concerts in 10 days, in Germany, Switzerland and the Netherlands. I had the honor of hosting a jamsession at the Jam de la Creme Festival 2016. The aftermovie is online now. At Oerol festival we gave our first concert in the new Yakumo Orchestra line-up. It's amazing to bring music from rehearsal rooms, to a stage, to an audience. 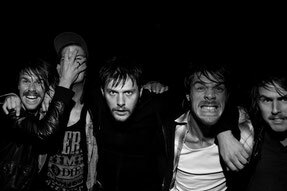 Other tourdates include Glasonbury, de Marktkantine Amsterdam and Zwarte Cross Festival. MAYHEM at Kaderock in the Hague. 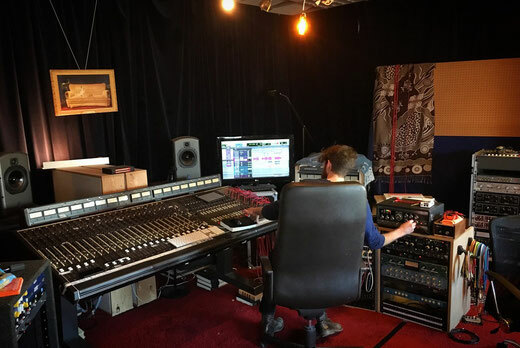 Recording session with singer-songwriter San Francisco in studio Joneski today. 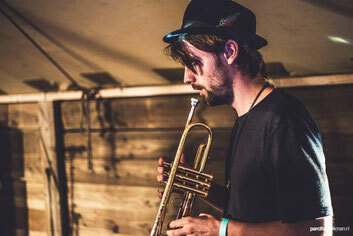 I've recorded trumpet on a couple of tracks. Conducting all kinds of musical experiments with @wouterrentema at his little east-Berlin palace. In OOR magazine deze maand een item over het jaar van John Coffey. 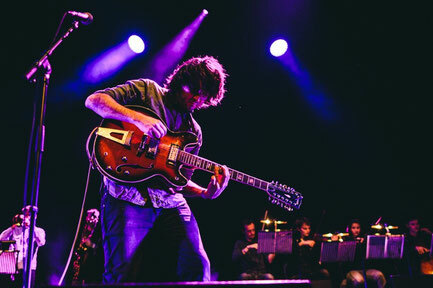 Foto's van Ben Houdijk, gemaakt tijdens het concert in Paradiso, afgelopen oktober. Afgelopen zaterdag speelde ik met John Coffey Jean Trompette en Heart of a Traitor. 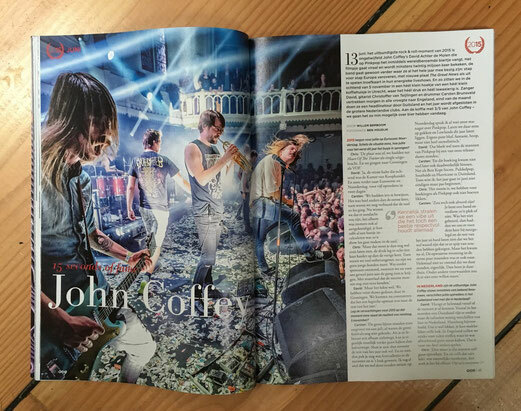 "John Coffey (...) werd zaterdagavond als verloren rockzonen in Paradiso onthaald, en speelde de grote zaal plat alsof het hun thuishonk was"
Photographer Ruben van Vliet captured some moments on and off stage at the last Blaudzun show of the Promises of No Man's Land tour at Freeze Festival. Have a look! 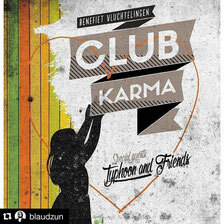 CLUB KARMA, BENEFIETCONCERT VOOR VLUCHTELINGEN Met Typhoon & Friends, Blaudzun, Racoon, Roosbeef, e.v.a. Voorverkoop nu gestart! Jam de la Crème. Summernight, a beach, 40 musicians, jam. We had an amazing show at Down the Rabbit Hole festival! 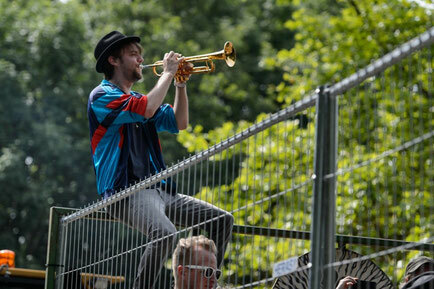 The full show has been recorded and is up for view at the 3voor12 website. Click the Instagram pic on the left to see a videoclip of our performance at Bitterzoet.